As Ontario is starting to tackle climate change in a significant way, it needs to address emissions from all industry sectors. For real estate owners and managers, the most significant regulation is the Energy Statute Law Amendment Act, which became law on June 9, 2016. The act requires Ontario properties to report annual energy and water consumption to the Ministry of Energy using the ENERGY STAR Portfolio Manager. This legislation builds on similar obligations present in EU and the US, where sometimes buildings are ranked in league tables to inform the public. The rules, also known as the Energy and Water Reporting and Benchmarking (EWRB) regulatory requirement, is likely to be approved sometime this year and should be viewed as a performance management tool. It allows beginners to see opportunities for efficiency improvements and cost savings and encourages a more experienced company to outperform benchmarks. The Ministry of Energy will likely publish the information, allowing companies and properties to benchmark their performance against their peers. Disclosure of building data will also allow the market to price in resource efficiency in purchasing, leasing and lending decisions. Since the deadline for the first reporting period is fast approaching, we encourage you to sign up for the free ENERGY STAR Portfolio Manager and begin to populate the system with energy, water and property information to get into the habit of doing so. 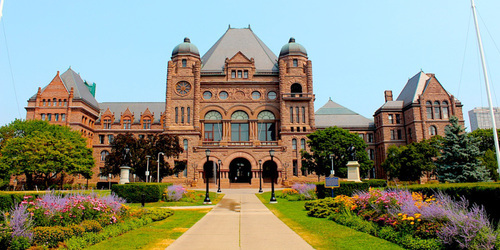 Prioritize buildings larger than 250,000 square feet (located in Ontario). A proposal notice for the EWRB requirement spells out what is involved in complying with the Energy Law Amendment Statute Act. Portfolio Manager calculates greenhouse gas emissions. Furthermore, the Ministry of Energy proposes a phase-in of the EWRB over a three-year period.